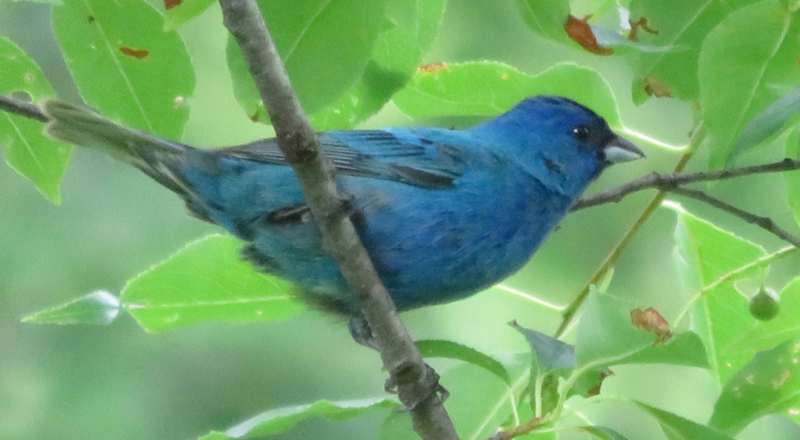 Indigo Buntings return to Crow Island Woods by May and leave in early to mid-fall. During that time you are likely to see them at eye level relatively near the trails or hear them singing exuberantly from the tops of trees. 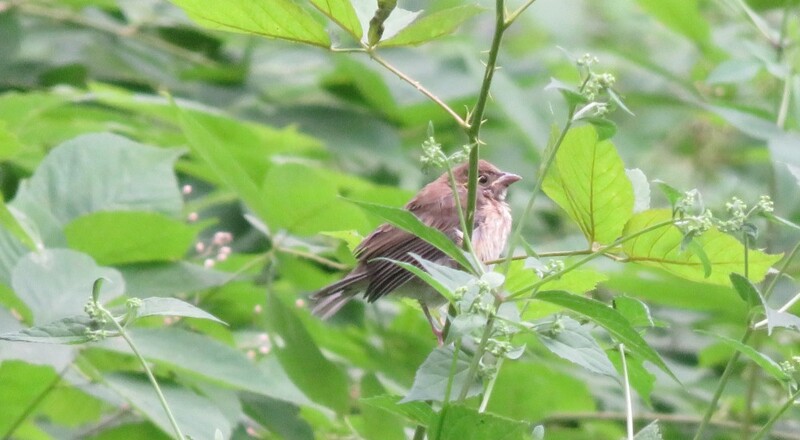 They are a small finch measuring only 5-6 inches in length. 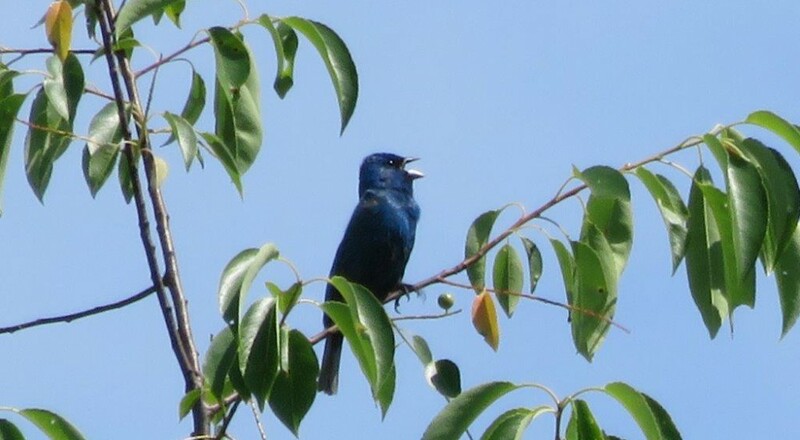 While they are a relatively common North American bird, the males are striking in color and always a treat to see against the deep green foliage in Crow Island Woods. 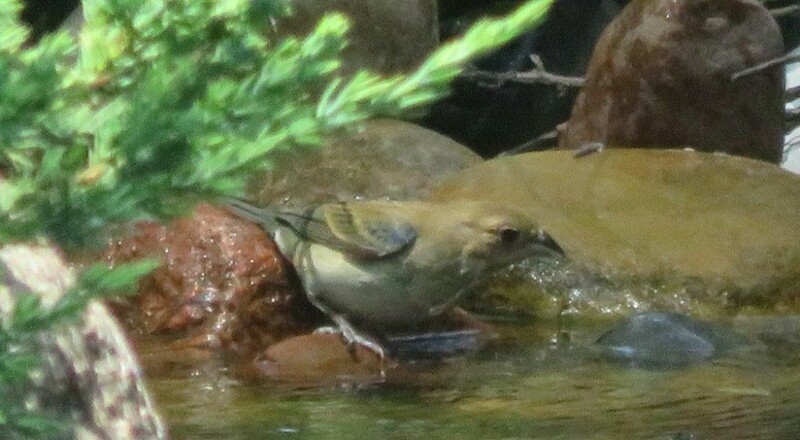 While the females do not have striking blue plumage, their brown feathers often appear golden and the hint of blue in their wings or tale give them a subtle beauty all their own. If you are anywhere near a nest, I suspect the male will make himself quite visible and begin to repeat a sharp chit call. He’ll likely fly to a new spot but remain visible to distract you from the nest and presumably move you farther away from it. 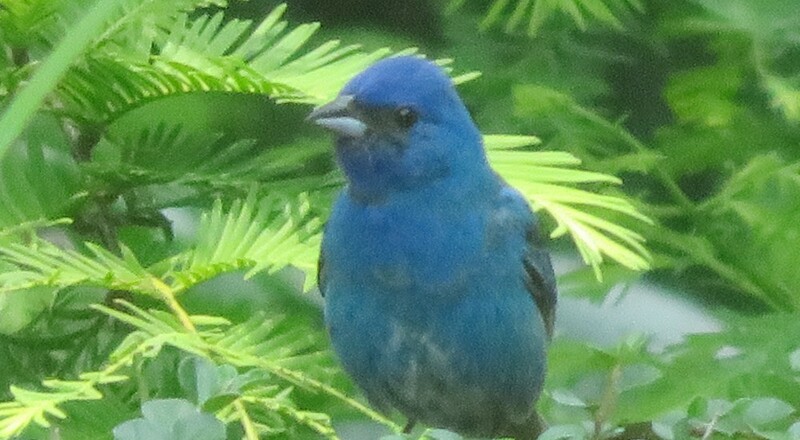 I hope you have the opportunity to see these beautiful little birds sometime soon in Crow Island Woods.